Nicole was invited by YT Media and the organizers of the Art Business Conference to speak at their inaugural Art Business Conference in Shanghai on Friday 9th of November. This was the Art Business Conference’s first event in Asia and it was also their first conference live streamed on Weibo with over 10 million viewers. The one-day conference provided an international platform and network to discuss the dynamics of buying and selling art, plus the latest industry trends, technologies, and best practice in the art market. The conference provided delegates with an overview of the latest developments in today’s art market. Nicole was chosen to present her insights alongside 22 speakers from the worlds of art, business, technology, publishing, fashion and music. She spoke on a panel alongside David Berliner, President and COO of the Brooklyn Museum, with the panel being moderated by Charles Chang, COO of YT Media on the topic of “New Museum Models for the Next Generation”. 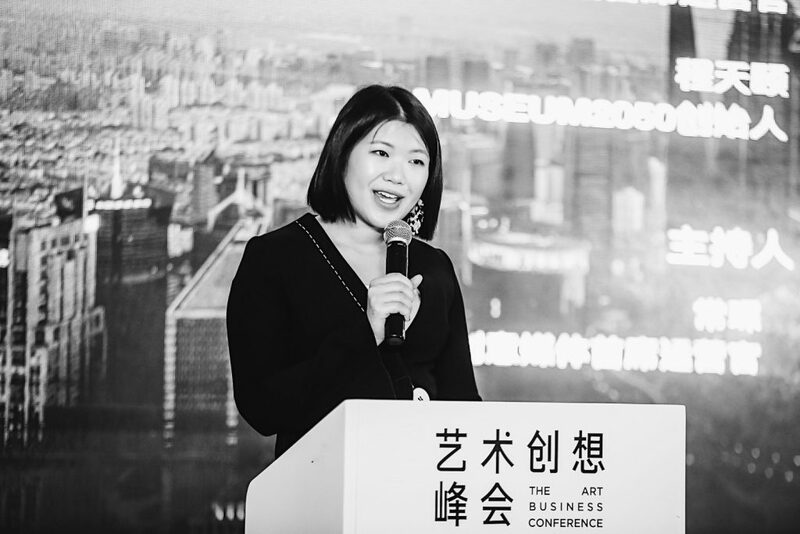 Thank you to the Art Business Conference for allowing us to share more about all the work we are doing at Museum 2050 and everything we have learned so far about this ever-changing and growing museum ecosystem in China.